A strong brand image is the be and end all in marketing. Your product needs to entice people to lift it off the shelf. 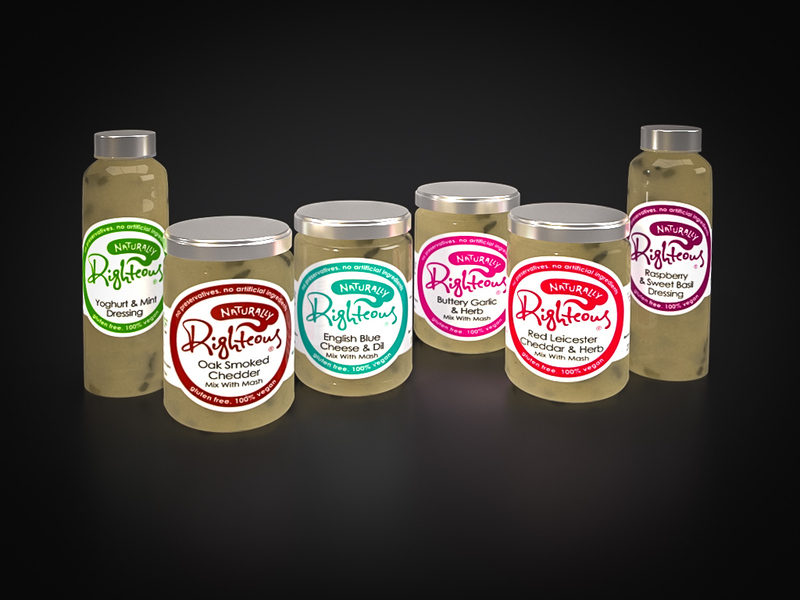 Righteous Sauce company recently got in touch for help on new labels for the Salad Dressing & Mix With Mash ranges they produce. 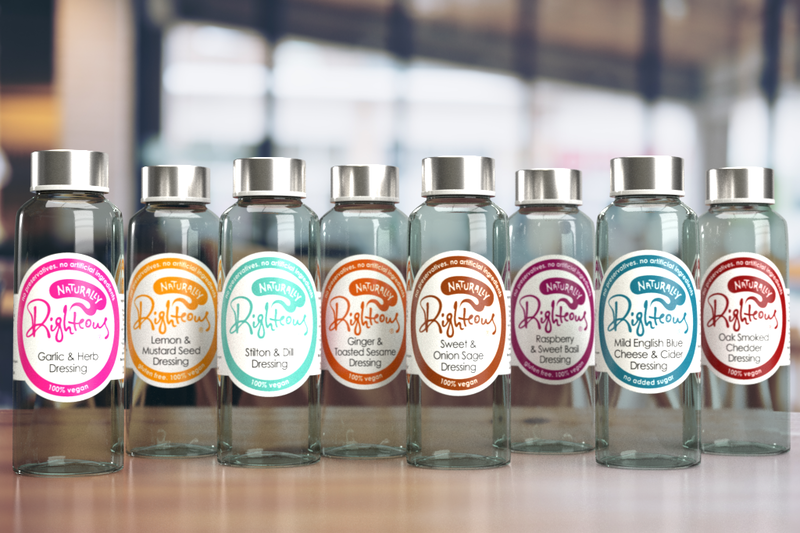 We created artwork for new labels in sizes to suit each bottle type along with 3D photorealistic renderings. 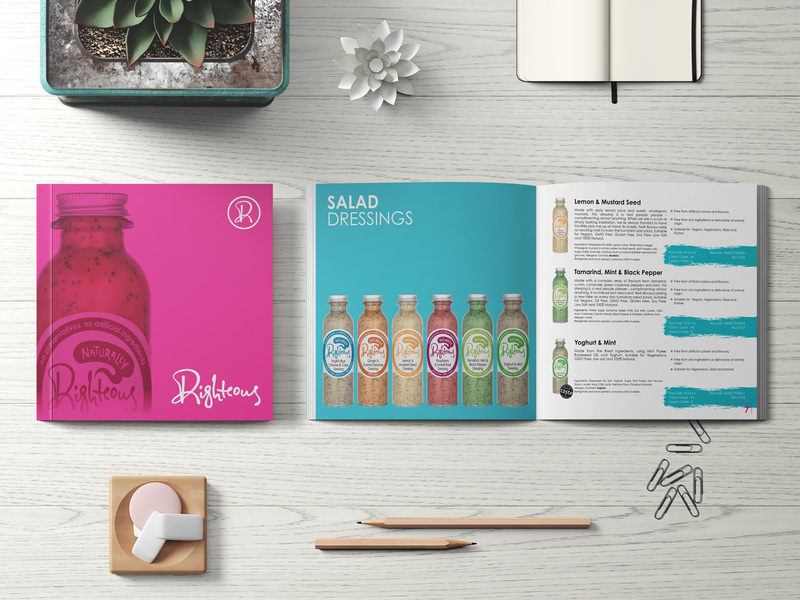 A new brochure for wholesalers promoting the new look of the brand along with updated flavours was commissioned. Righteous now have a sharp looking range of products plus a modern, bright brochure to compliment.